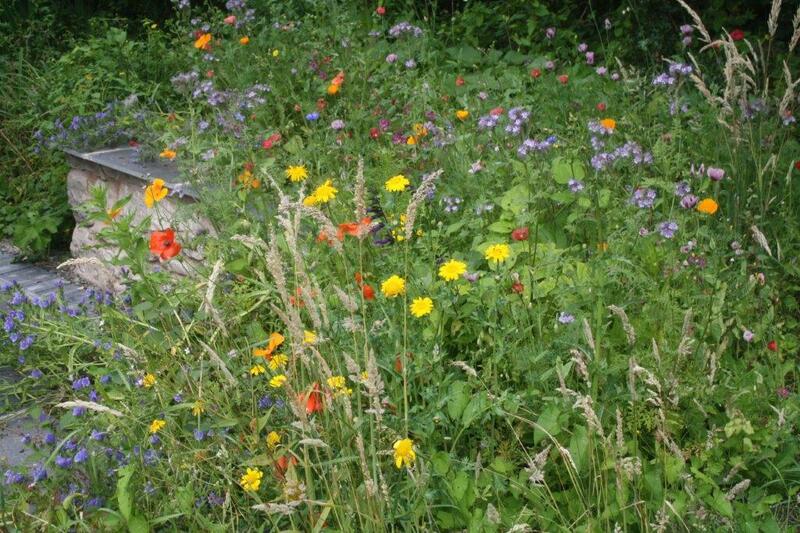 Jan has experimented over the years with wildflowers that will grow from seed to flower in hostile conditions and produce a miniature display. 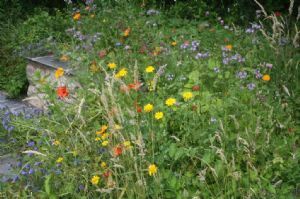 This seed mixture includes red, yellow and pink poppies, orange marigold, white/pink daisies, blue phacaelia and others. NB; these seed will all grow to normal size if you just sow them on open soil! To get the miniature effect you need to sow them thickly onto the top of a small seed tray or shallow pot and keep them watered, but do not move out of this tray/pot. 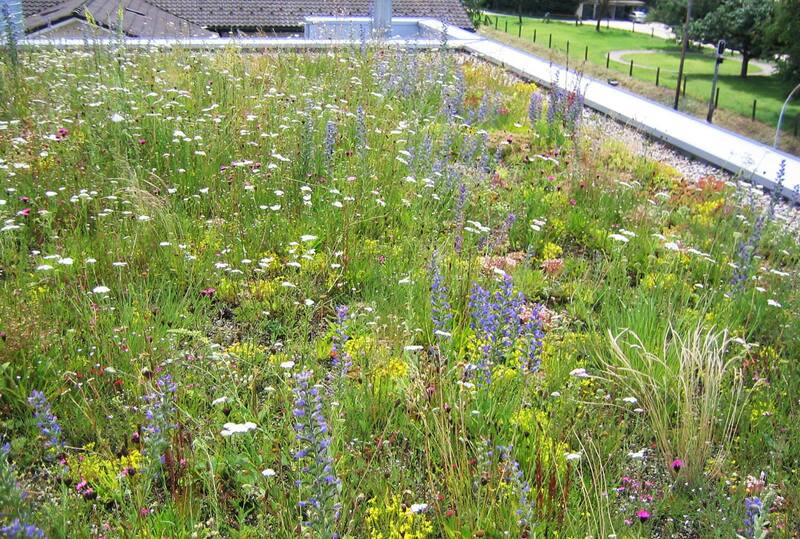 Picture shows full scale meadow, plus one grown on a dry roof garden.